Seen from the east, the neo-Palladian villa Link was designed by Lord Burlington, and completed in 1729. 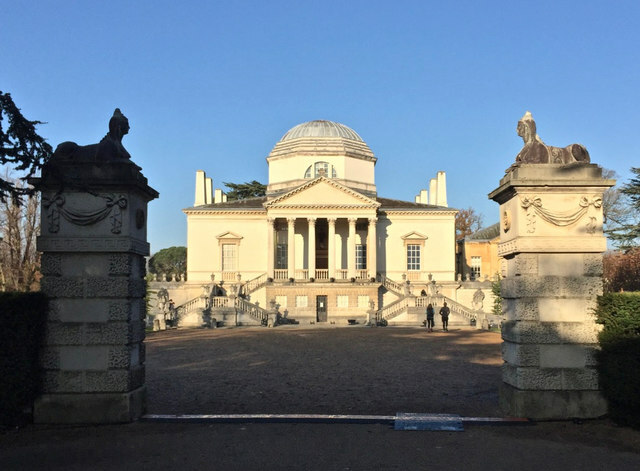 Hounslow Council and English Heritage formed the Chiswick House and Gardens Trust in 2005 and took over the administration of the villa and gardens in July 2010 following restoration works. And through the Eye correct the Heart. For Hogarth's honour'd dust lies here.